Kakinada: The Peddapuram police, led by the circle inspector Y.R.K. Srinivas, foiled a conspiracy to kill Peddapuram Municipal chairman Raja Suribabu Raju (Vatsavai Lakshmi Suryanarayana Raju). The police arrested three persons in the case. 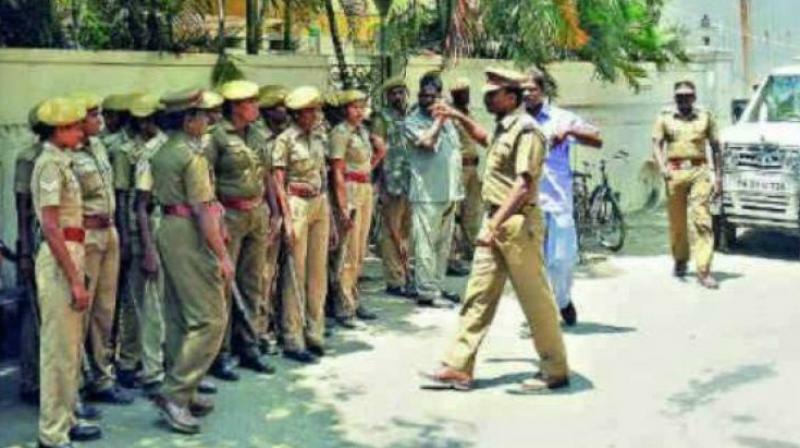 Inspector Srinivas told reporters at Peddpapuram on Saturday that Rongala Satyanarayana alias Sathibabu of Pedda-puram was a land grabber and a rowdy sheeter in police records. He trespassed and grabbed 500 sq.yards of a vacant site worth nearly Rs 75 lakh in Peddapuram. He also reportedly registered the site with fake documents and also put up the site for sale. The original site owners approached the Municipal chairman for getting justice. The Civic chief discussed with Sathibabu and reprimanded him, and the site was handed over to the real owners. Later, Sathibabu approached the Civic chief and sought a settlement on the land as he had spent lot of money on it. But Raja Suribabu Raju did not concede his demand. Inspector Srinivas said that Sathibabu developed vengeance against Raja Suribabu Raju and decided to kill him. He contacted the members of a “supari gang” — Nalla Ayyappa Swamy alias Swamy alias Somayya of Eluru, Korada Dilipkumar alias Dilip, Nadiminti Veera Venkatesh of Rajahmundry — at Eluru with the help his son Durga Prasad to kill Raja Suribabu Raju. The three accused went to Peddapuram, stayed at a hotel.